Shopping has never been my favourite sport and, since starting this RTW trip, I’ve taken a fair amount of pleasure in purposefully Not Shopping. Every item in a bag you have to drag around the planet for months on end must be carefully considered. There’s certainly no room for the silly souvenirs I usually buy on my travels. Despite this, I’ve already been lugging a mate and bombilla in my pack since Bariloche, and have used them a grand total of twice, which proves that you really have to be SO careful. In light of this, when Meg suggested a visit to San Telmo market, I agreed with a certain amount of trepidation. I decided that as long as I only bought something very small, it should be okay. I was perturbed to see something that looked distinctly like Dolly Apartheid going on in this shop. 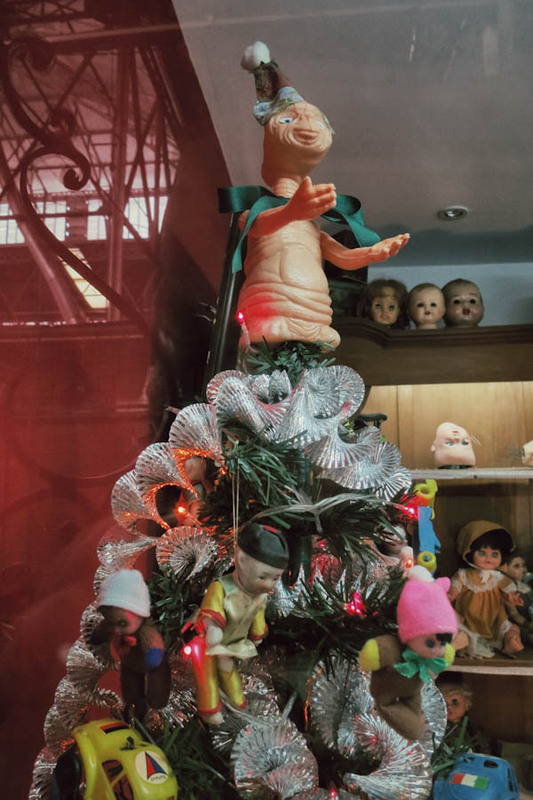 It’s tough to carry on, knowing that I don’t have an ET for my Christmas Tree. Fortunately, I’d only brought along a couple of hundred pesos, so I managed to escape with a shirt I didn’t need, a novelty coin pendant (because nobody else seemed to like the rusty key) and a toy Hulk (a gift for someone else, although I fancied it myself). Meg herself showed remarkable restraint. The way she managed NOT to buy the leather cat mask will forever remain stamped in my memory as an example of heroic Not Shopping. 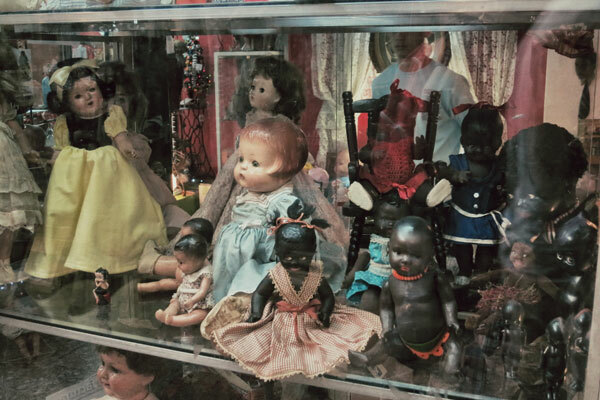 Maybe one day, I’ll return to Buenos Aires on a shopping trip, and then I will be able to buy those hideous shoes with the boingy spring thing in their heels, those Banana in Pyjama fridge magnets wearing Argentinian football kit, ten chandeliers, and a whole trolleyful of ET dolls. Or maybe not. Posted in Buenos Aires, Travel blogTagged Argentina, buenos aires, flea market, jewelry, market, san telmo, shopping, vintageBookmark the permalink.